Dougie goes home; Gordon, Albert, and Tammy pay a visit to Cooper in jail. The opening shot of Las Vegas shows the towering Stratosphere hotel and casino in the distance. Slot machines at the Silver Mustang Casino not previously seen include: Coyote Moon, American Slots, Zanzibar, Tropical Treasure, Sabertooth, Dive, Victory Lap, Jaguar Princess. 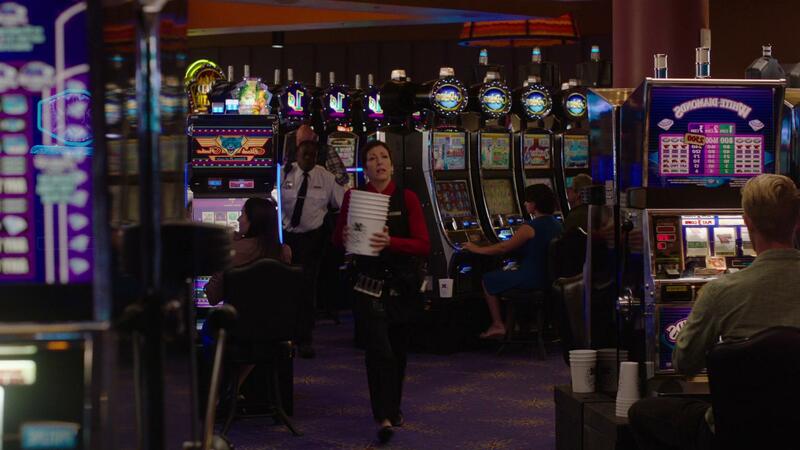 During the montage of shots of Cooper winning jackpots at machines all over the casino, some of the shots are flipped, as evidenced by the slot machines exhibiting their names in mirror form. Was this intentional? The entities in the Lodges speak backward...are the flipped shots here an indication of Cooper's interaction with otherworldly forces? The old lady slot addict begins calling Cooper "Mr. Jackpots". Bill Shaker recognizes Cooper as Dougie at the casino and reintroduces himself, reminding Dougie-Cooper he's from Allied Chemicals. There are a few independent and foreign companies using some form of this name. Bill tells Dougie-Cooper that his (Dougie's) house is on Lancelot Court, near Merlin's Market. This is a fictitious road and market in Las Vegas. The names refer to Sir Lancelot of the Knights of the Round Table and the wizard Merlin, both from Arthurian legend, tying back in to Glastonbury Grove, as remarked upon in Episode 29: "Beyond Life and Death". At 6:22 on the Blu-ray, we can see that the casino supervisor's name badge reads M. Burns. The large framed photo hanging on the wall of Burns' office is of Howard Hughes (1905-1976). The billionaire Hughes once owned many casinos in Vegas, so the implication here may be that he had owned or even founded the Silver Mustang. At 6:35 on the Blu-ray, Warrick makes a circular motion around his ear as he introduces Dougie-Cooper to Burns. This signal is a common one meant to suggest that the indicated individual is out of his mind. When Burns asks Dougie-Cooper how they can help him, Dougie-Cooper responds with his "call for help" line, prompting Burns to say, "Call who?" and Dougie-Cooper repeats, "Who." It makes him sound like an owl! Was this intentional? He sees an actual owl fly by outside his home not long after. Did Dougie-Cooper call upon the owl (unintentionally) by saying "who"? Is that why the owl flies by later, looking down at him, to check up on him? Dougie's house address is seen as 25140 at 10:26 on the Blu-ray. It has a red door. The real world house is located at 25140 Huston St, Stevenson Ranch, CA. The limousine that the Silver Mustang provides to drive Dougie-Cooper home is a stretch 2000 Lincoln Town Car. At 11:55 on the Blu-ray, Dougie-Cooper and the limo driver briefly see and hear an owl fly overhead. A screenshot of the distant flying owl, when magnified and brightened reveals that its head is twisted down to look at them for the entire shot! Perhaps it is interested in Cooper. Dougie's wife confronts Dougie-Cooper (thinking it is Dougie) and asks him where he has been for three days, missing work and even missing their young son's birthday. Why was Dougie gone for so long? From what we know in previous episodes, it seems like he would only have been gone for a day, if that. What happened before we first see him with Jade in Part 3: "Call for Help"? The three day figure does suggest death and resurrection (Jesus was dead three days before he arose again; Dougie died in the red room and Cooper returned in Dougie's place). At 13:06 on the Blu-ray, balloons from Sonny Jim's birthday party are seen still decorating the inside of the Jones house. A foil balloon with the words "Happy Birthday" on it is seen near the dining room table. This balloon design is available at Party City. Denise Bryson's office has a quote from Cicero carved into the wood paneling, "Fidelity is the foundation of justice." This is an actual quote from Cicero (106-43 BC), a Roman lawyer, politician, orator, philosopher, and writer. A bouquet of roses and irises has apparently been left for Denise Bryson in her office by someone. 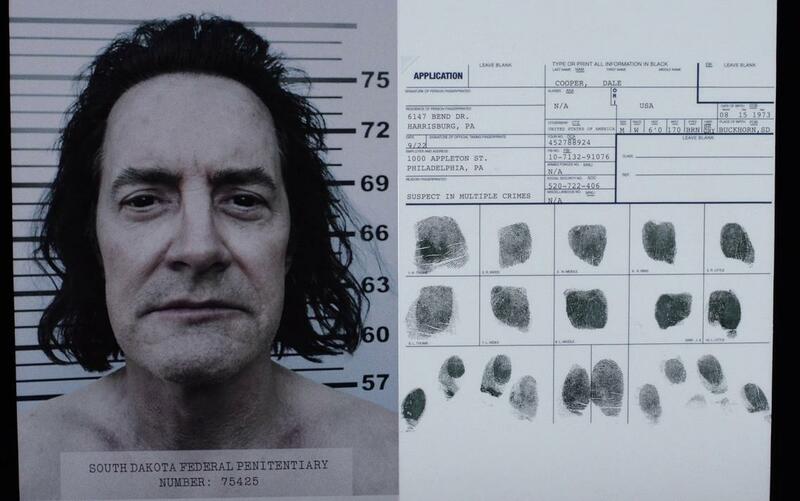 Gordon tells Denise that Agent Cooper has apparently been found and is being held in a prison in South Dakota. The two bring up their past histories and Gordon reminds Denise that long ago when he was Denise's boss, he had enough dirt on her to fill the Grand Canyon if he'd wanted to use it. When Denise wishes Gordon good luck on the Cooper case, Gordon responds, "10-4, good buddy." This is a phrase used by citizens band enthusiasts to indicate "acknowledged". The "10-4" portion is from the 10-signals developed by the Association of Public-Safety Communications Officials-International (APCO) for brevity in voice messages. After Gordon has left her office, Denise fans her face with her hand. Does she have a thing for Gordon that leaves her feeling hot and bothered? At 19:45 on the Blu-ray, Lucy has a Canon printer set up behind her reception desk. At 20:54 on the Blu-ray, a notice on the bulletin board behind Lucy reads "Person of Interest, Quade Stallworth, 30 year old male." Lucy appears to have a habit of going into shock when someone is talking to her over their cell phone and then they walk into the office, she apparently thinking they are somehow in two places in once. We first saw her face a similar dilemma in Missing Pieces when she thought she was still speaking to Sheriff Truman and Andy over the office intercom system and then they walked by. As a sheriff's deputy, Bobby Briggs wears a name badge that reads "B. Briggs" even though his proper first name is Robert. At 21:32 on the Blu-ray, Maggie at the dispatch console at the Sheriff's station rattles off several police codes. 11-71 is a report of fire. 15-07 I've been unable to find an explanation for. 10-07 stands for an officer ending their duty shift. At 21:43 on the Blu-ray, notice that a free-standing chalkboard can be seen behind Maggie's dispatch console. It looks like it's probably the same one seen at the Sheriff's station in the original series and used by Cooper during his Tibetan technique rock-throwing method for discerning clues in Episode 2: "Zen, or the Skill to Catch a Killer"! (Although another similar one, or the same one moved to another room, is seen at the station later in Part 9: "This is the Chair". 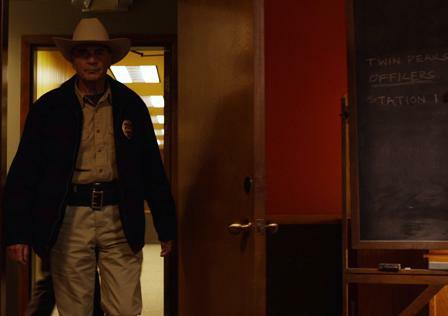 Sheriff's station chalkboard in this episode Sheriff's station chalkboard in Episode 2: "Zen, or the Skill to Catch a Killer"
Dell monitors are in use in the dispatch room of the sheriff's station. At 21:46 on the Blu-ray, a Cybex Switchview KVM (Keyboard, Video, Mouse) switch is seen on Maggie's console. When Sheriff Truman walks into dispatch, Maggie tells him it's been kind of quiet tonight, with just "a domestic, two D&Ds, and a DUI." "Domestic" refers to "domestic violence", D&D stands for "drunk and disorderly", and DUI is "driving under the influence" (of alcohol or drugs). Maggie mentions that Dennis Craig overdosed at the high school today. Possibly he was using the drug called sparkle mentioned in Part 1: "My Log Has a Message for You". Sheriff Truman guesses it was "Chinese designer drugs again." Chad remarks that he thought the Log Lady was on a 10-96 and not allowed in the building. 10-96 is the code for someone who has mental problems and may need to be detained. Lucy tells Chad that she is not allowed in because of her gum. In the original series, the Log Lady chewed pitch gum (from the pitch of trees) and she apparently has a bad habit of spitting it out or sticking to the walls of the places she visits (e.g. the RR Diner in Episode 8A: "May the Giant Be With You"). When Andy tells Chad that Margaret (the Log Lady) gets messages from her log, Chad acerbically responds, "Pinocchio's friend." Pinocchio, of course, is the wooden marionette character from the 1883 children's novel The Adventures of Pinocchio by Carlo Collodi and which has been adapted to many other media. When Bobby learns that the sheriff and Hawk are taking another look at the Laura Palmer case in connection with a clue about Cooper, he tells them that Cooper was the last person to see his father, Major Briggs, alive. The major died in a fire at his station the next day. 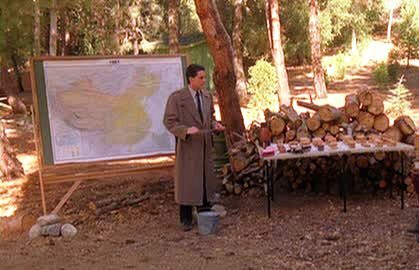 The Briggs incident is touched on in both The Secret History of Twin Peaks and The Final Dossier. 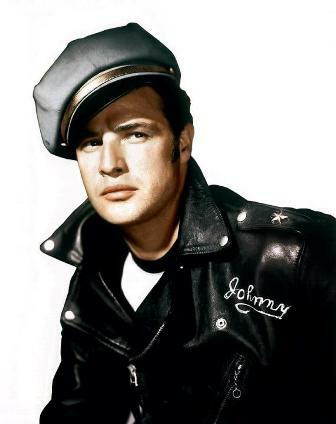 Andy and Lucy's son Wally wears an outfit that is essentially identical to that of the character of Johnny Strabler, played by Marlon Brando, in the 1953 film The Wild One. He also affects a mumbled, slurred cadence of voice that is similar to that of Marlon Brando. 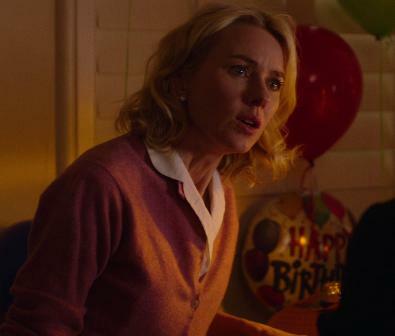 Lucy remarked that Wally was born on the same day as Marlon Brando (April 3) in Part 1: "My Log Has a Message for You". Wally remarks that Harry Truman is his godfather. Marlon Brando also starred in the 1972 film The Godfather. Wally remarks on having crisscrossed the country from Alexandria to Stockton. This refers to Alexandria, Virginia and Stockton, California. Wally mentions travelling in the footsteps of Lewis and Clark. Twin Peaks: An Access Guide to the Town and The Secret History of Twin Peaks both discuss the famous American explorers having visited the Twin Peaks area. "My shadow is always with me. 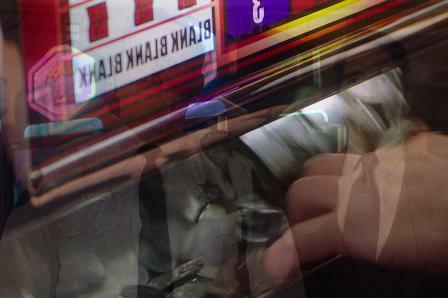 Could Wally's reference to shadows to the left or to the right be alluding to what Hawk described as one's "shadow self" in the Black Lodge (in Episode 18: "Masked Ball") and to the left- and right-hand paths of Indian tantra, RHP being based on ethical codes and social convention and LHP being based on the breaking of taboos and desire for individual freedom. PopApostle discusses RHP and LHP in Episode 27: "The Path to the Black Lodge" and The Devil's Guard. Wally says his dharma is the road and indicates with a wave of his hand around them that Frank's dharma is the world of Twin Peaks. "Dharma" is a word used in several Indian religions, often meaning the right way of living. According to the Internet Movie Cars Database, Wally's motorcycle is a Sunbeam S7. At 33:33 on the Blu-ray, Dougie-Cooper seems to be looking at the lime green sport coat he's supposed to wear to work with mild disgust, as if he as some awareness that it's not what he should be wearing in his real job as FBI agent. At 35:33 on the Blu-ray, Janey-E refers acerbically to "Dougie" as "Mr. Dream Weaver". I'm not sure why she uses this name for him; maybe he slept late, making him dangerously close to being late for work? It may also tie in to "who is the dreamer?" from later in the series...there are hints that Cooper may be dreaming the world of Twin Peaks into reality. At 38:08 on the Blu-ray, Janey-E has what appears to be Gold Medal flour and Market Pantry baking powder on her kitchen island. Gold Medal is a brand held by General Mills and Market Pantry is a grocery product brand owned by Target. Seconds later, a KitchenAid blender is seen on the kitchen counter. The music that plays during Dougie-Cooper's entrance into the kitchen is "Take Five" (1959) by the Dave Brubeck Quartet. At 39:10 on the Blu-ray, an owl cookie jar is seen on a cabinet in the dining nook at the Jones home. 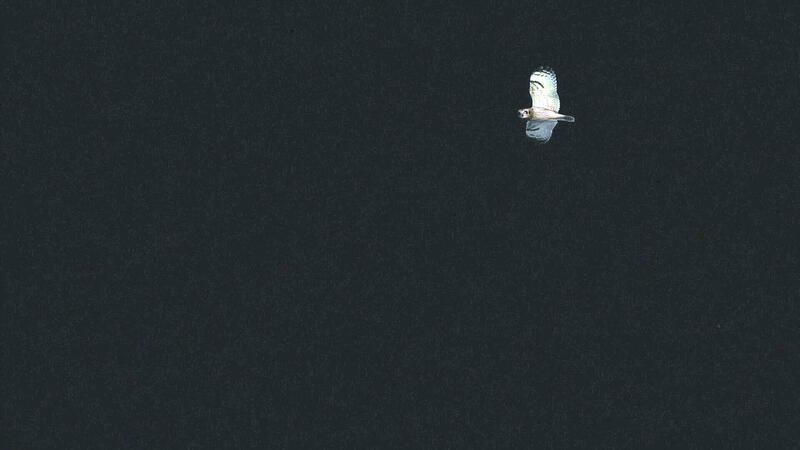 It is positioned so that it is "looking" at Cooper (reminding me of the owl who looked at him last night). Constance's computer screen seen at 41:41 on the Blu-ray is the exact same image seen on her screen in Part 1: "My Log Has a Message for You", down to the time! The car that picks up Gordon, Albert, and Tammy at the airport is a 2003 Lincoln Town Car with U.S. government license plate 5RNR01. At 42:49 on the Blu-ray, the headrests on the front seats are seen to be missing, common in film and television productions to keep the actors' heads visible. When Albert tells Gordon that Tammy gets carsick, Gordon seemingly hears the word as "Cossack" and tells him Cossacks are in Russia. Cossacks are members of various ethnic groups living in the Great Eurasian Steppe, mostly within the regions of modern day southern Russia and the Ukraine. The prison bus seen at 43:59 on the Blu-ray is a 1990 Blue Bird TC 2000. The prison transport van seen seconds later is a 2008 Ford E-350. We meet the warden of Yankton Federal Prison, Dwight Murphy, in this episode. According to The Final Dossier, he was previously the warden at Ghostwood Correctional Facility, which opened in 2001 near Twin Peaks. At 45:21 on the Blu-ray, we see Mr. C's arrest form. It lists his name as Dale Cooper and his residence as 6147 Bend Dr., Harrisburg, PA and the address of his employer as 1000 Appleton St., Philadelphia, PA. These are both fictitious addresses. They are possibly meant to suggest Cooper's last known address as an agent of the FBI. His social security number is 520-722-406, which is not in the correct format (should be 520-72-2406). Oddly, it lists his place of birth as Buckhorn, South Dakota and his birth date as August 15, 1973 (the same birth date as Bill Hastings according to his driver's license in Part 1: "My Log Has a Message for You"!). According to the Twin Peaks collector card set (and more-or-less confirmed by The Autobiography of F.B.I. Special Agent Dale Cooper), Cooper was born April 19, 1954. Height and weight, 6'0, 170 lbs. But the mug shot shows him at about 75 inches tall, three inches more than 6'. Actor Kyle MacLachlan himself is said be about 5'11" to 6' tall according to sources. Presumably, the information here was provided to the authorities by Mr. C himself and he gave mostly false data. The date on the form is 9/22, suggesting Mr. C was arrested on that date, seemingly just a day or so before the current scene. During Gordon's interview with the incarcerated Mr. C, Tammy has a Samsung laptop on the table in front of her. Does Gordon have some form of extrasensory perception? From 52:37-52:46 on the Blu-ray, a faint, high-pitched ringing is heard on the soundtrack as he stares into Albert's eyes after Albert reveals that he once gave some unauthorized information to someone he believed to be Phillip Jeffries in order to aid Cooper, and the information seemed to result in the death of an FBI contact in Columbia. When the ringing stops, Gordon seems to have judged Albert to be trustworthy despite this and he tells Albert about his own uneasiness with the Cooper whom they have just seen in the prison, which Albert agrees with. The song played at the Roadhouse at the end of the episode is "Lark" (2007) by Au Revoir Simone. The lead singer plays a Roland synthesizer. An Arturia MiniBrute synthesizer is also played by the band mate to her right. Why did Gordon ask Tammy to wear a wire? Presumably, he wanted to record what Mr. C said during the interview at the prison.